You messed something up with your quote on the TPB. BTW, I noticed that Amazon has TPB 04 listed for 12/26/2012. Yeah, Proto Man is my favorite too! Seeing Spaz and Bates' awesome art in each issue is more than enough reason to pick these up, but I rather enjoyed the stories so far. Hopefully the writing will stay good after they start doing their own thing and no offense, but I'm not a fan of Chad Thomas' style. Nothing good lasts forever, but this comic has had one good year thus far, and in the comic world that's an achievement. hmm this site is really cool and impressive to me. 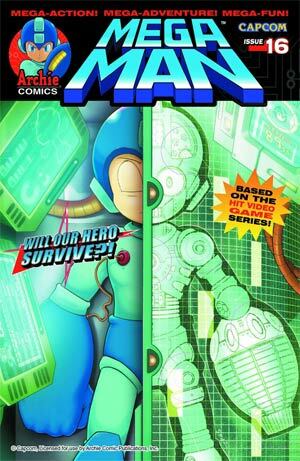 The cover kind of reminds me of the cover on the Rockman 10 Years History Book.